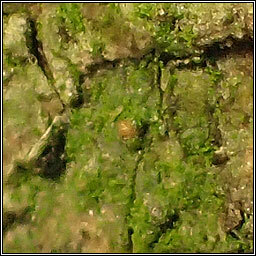 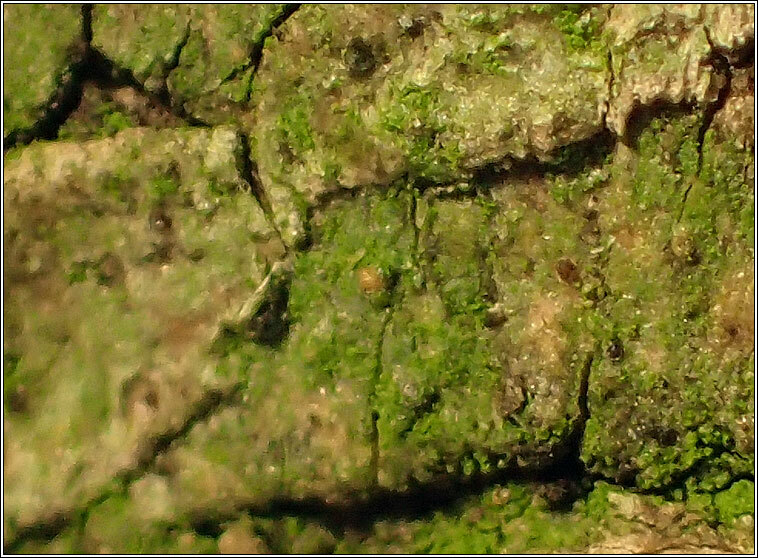 Very thin brownish-grey to dark olive-green thallus with small brownish-orange perithecia (0.15-0.2mm). 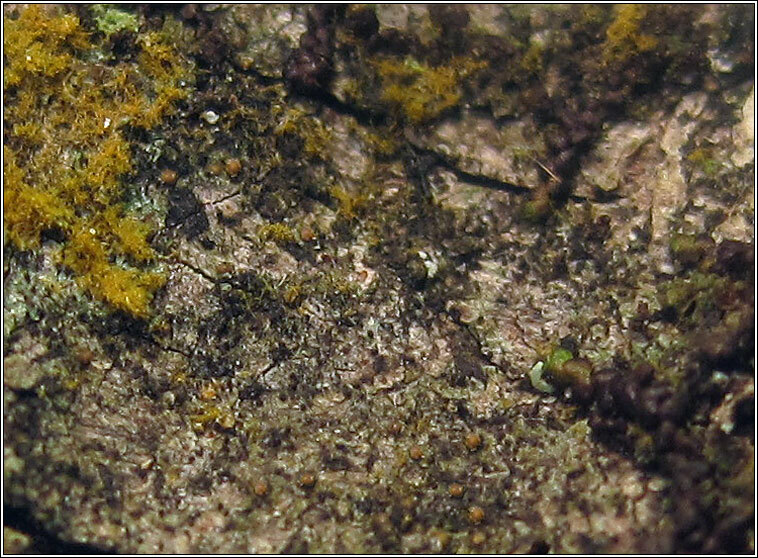 Red-brown pycnidia often present. 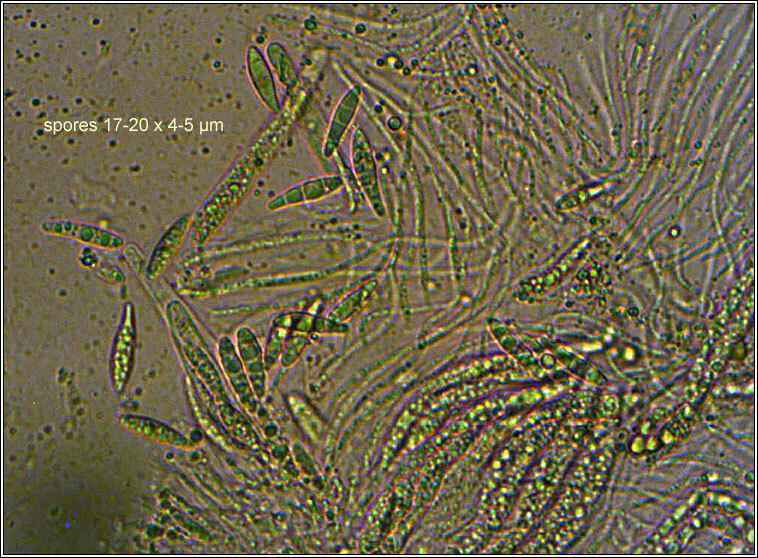 Spores 3-septate, 15-25 x 3-5 µm. 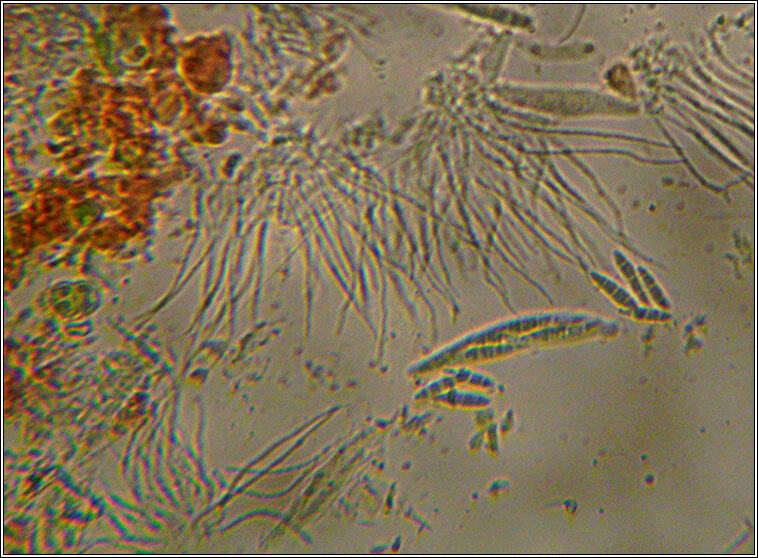 Micrographs below.